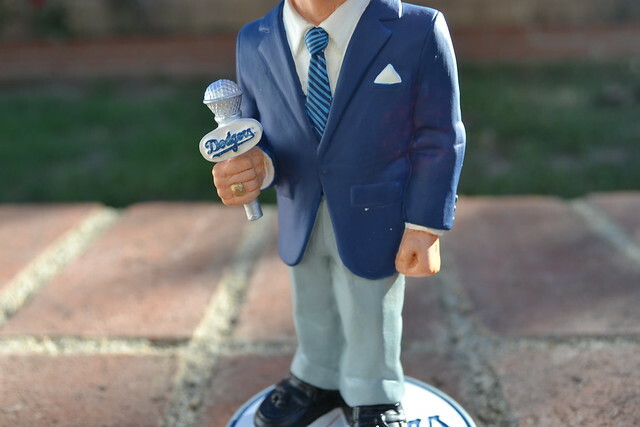 I received this bobblehead last year around the Holidays. I know, I'm a year late on posting this. I don't have that free time that I used to have. I'm working on other things and then I have a crazy/loving little boy. The person that gave it to me asked me to not reveal his identity. 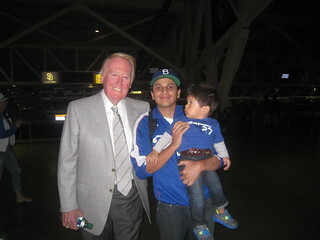 (No, it wasn't Vin Scully or anyone from his family) So let's just pretend that I got it at a flea market. 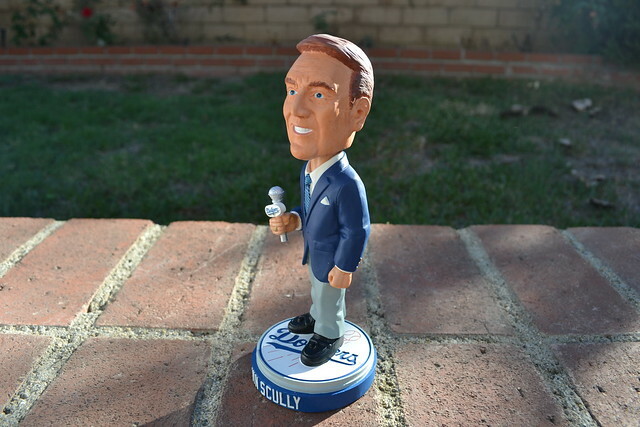 The bobblehead was made by the same people that were doing the Dodger bobbleheads before this season. 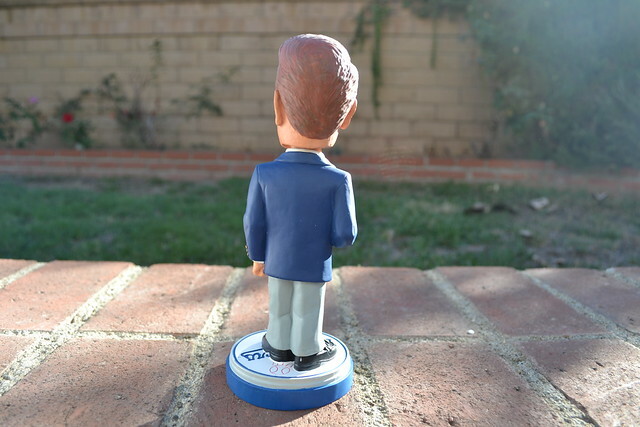 The wife of Vin Scully asked them to create a special bobblehead that were going to be given at a private party. From what I understand, less than 100 were made. 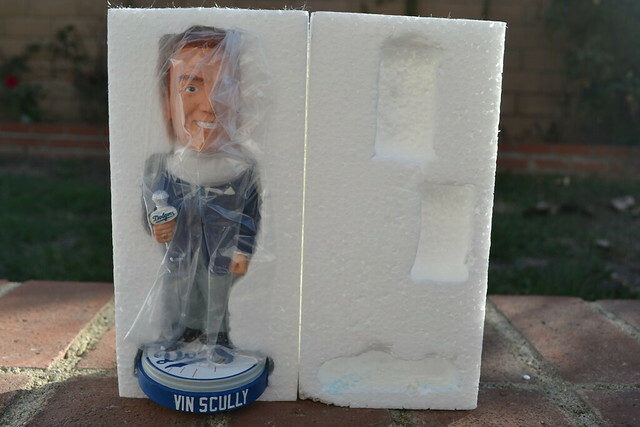 It's a very rare bobblehead and you basically won't see this anywhere unless someone at that party decides to sell it. 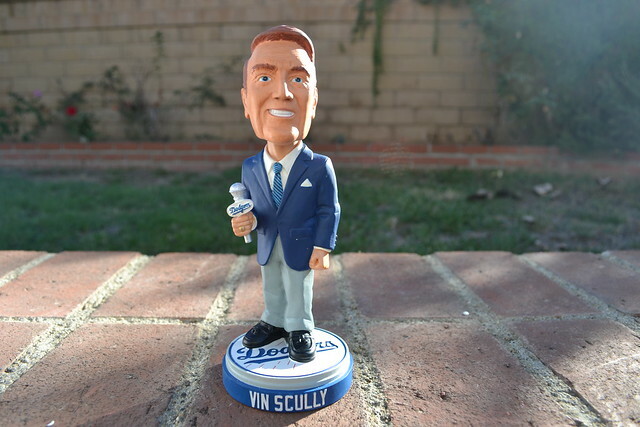 Happy to have it in my bobblehead collection. 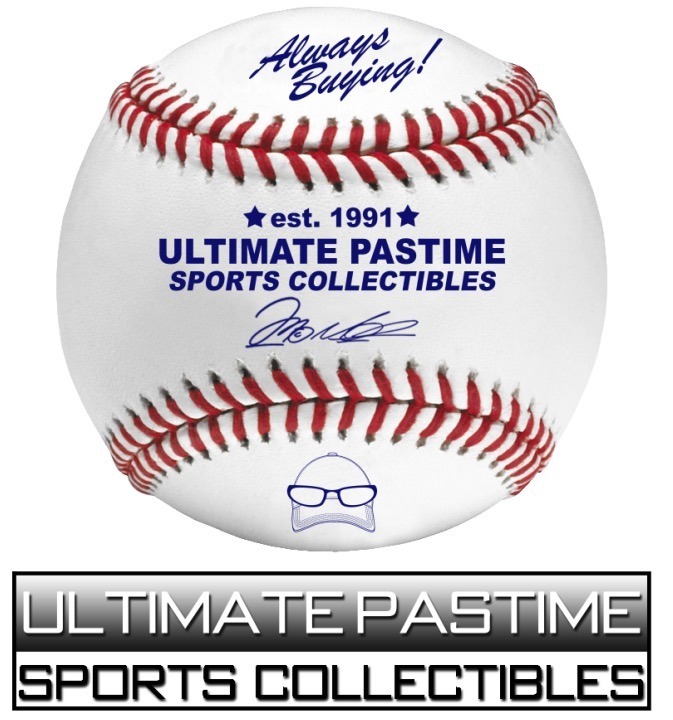 I've seen many pictures on eBay and other fan forums or Instagram and I'm surprised to see how people are willing to steal pictures as if it's their own. 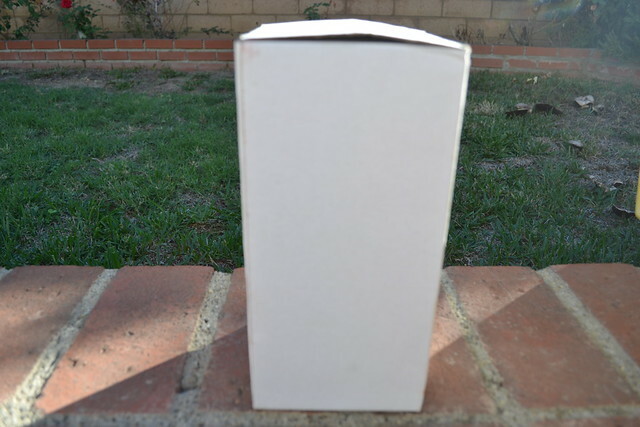 When I got the box, I honestly didn't want to take it out. I did but didn't take out the wrapper. This morning was the first time that I took the wrapper out so I can take pictures. Not joking. I don't even have it displayed. It's been inside the box since I received it last year. 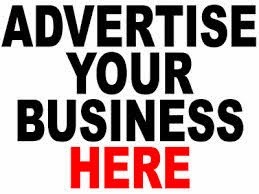 Click here if you want to see more pictures. 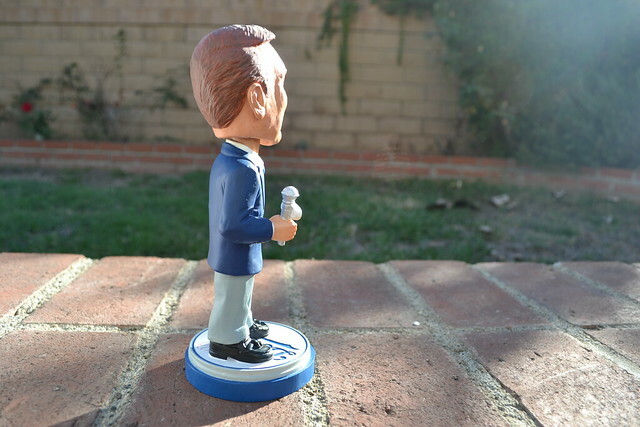 The Holy Grail bobblehead! I'm so jelly! True story. 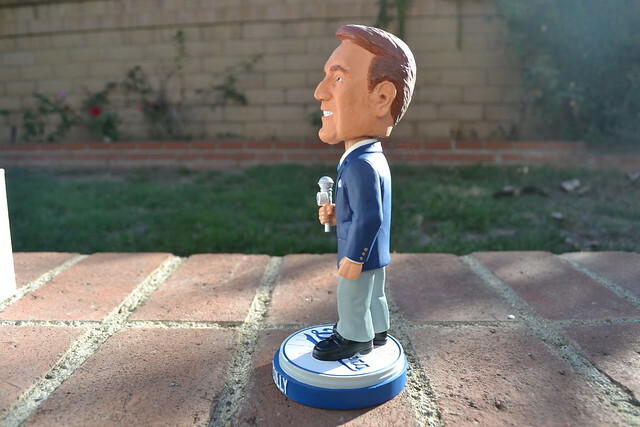 I knew a person who saw the Steve Lyons bobblehead at the swap meet for $2, and he didn't buy it because he thought it was a giveaway bobblehead that nobody cared about. You should display it in your house. You should enjoy it and not hide it away. As the old saying says "You can't take it with you." And I'm guessing you will never sell it so no need to keep it wrapped up. 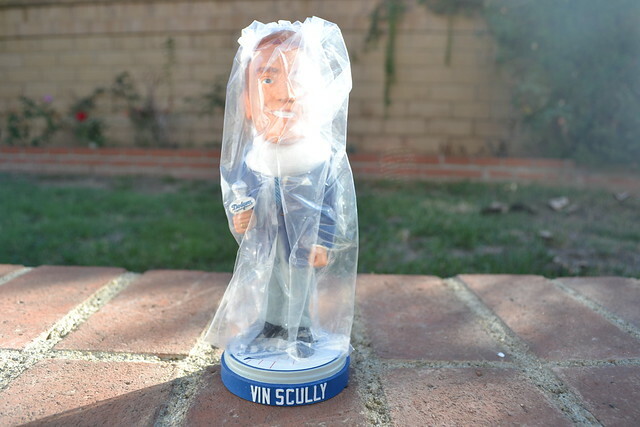 But maybe put it in a bubblehead case to protect it. Niiiiiiiiiice!! I like how people steal your [ics and post them as their own. Happened to me on IG, like some dude acting like he was at the Yankee series last year. 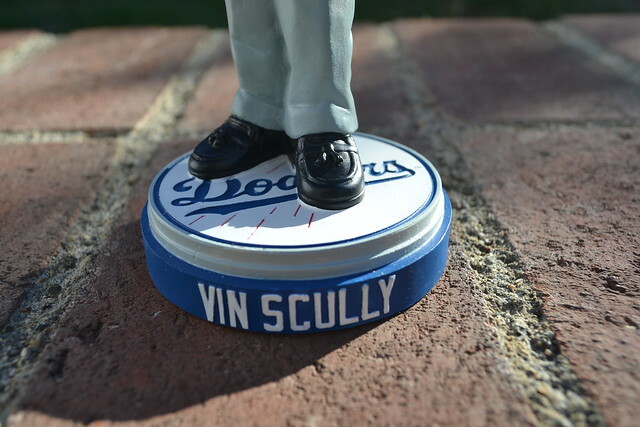 Rahm, This bobble head (Vin) only has a decal at the bottom from where it was made.